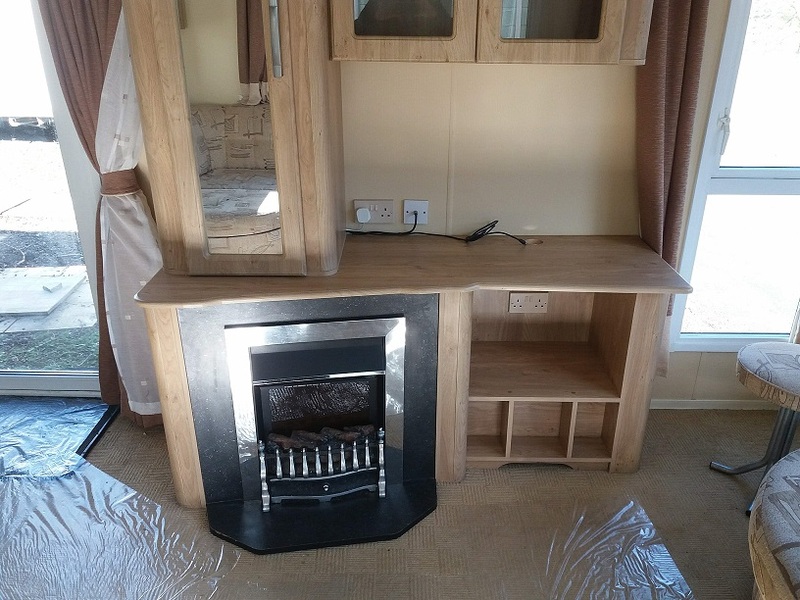 Lounge: Plenty of fixed sofa seating, coffee table, feature fireplace with electric fire. 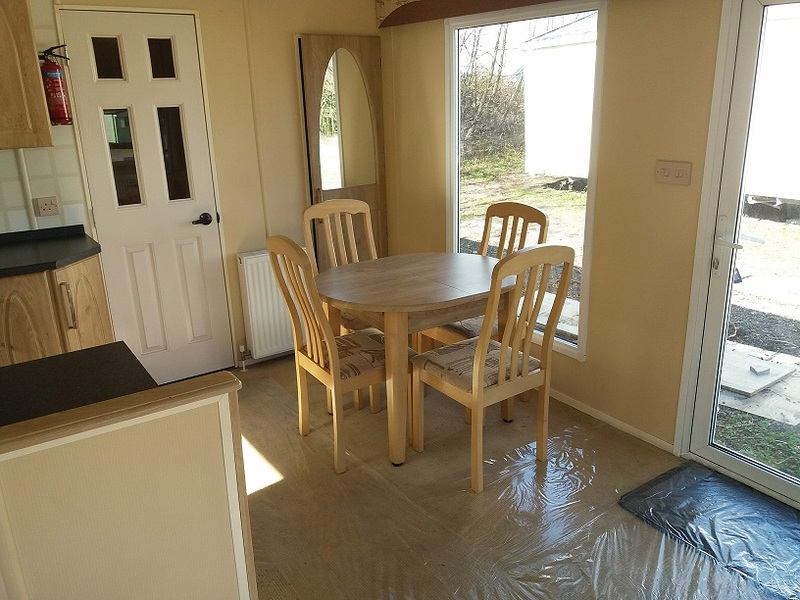 Separate dining area with dining table, high-backed dining chairs and drop-window to side. 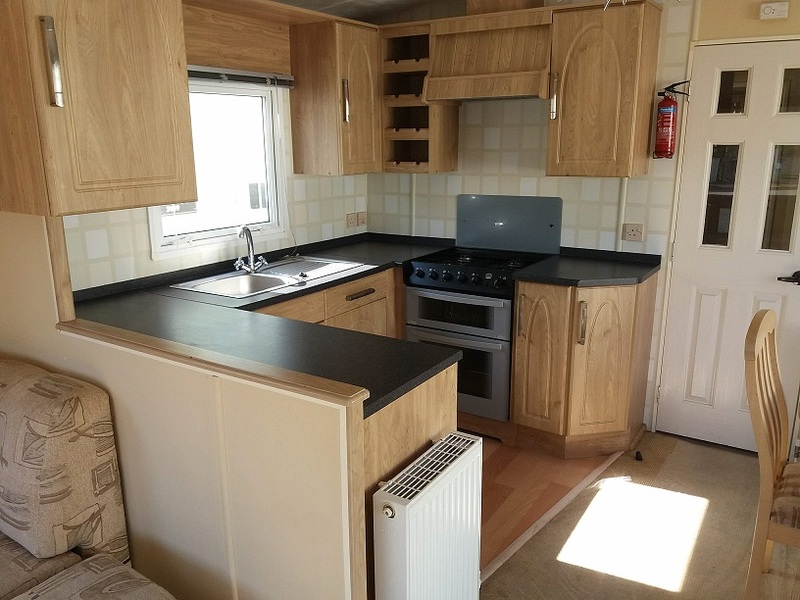 Kitchen: plenty of fitted units, gas cooker with hob, oven, grill and glass splashback and under-counter fridge-freezer. 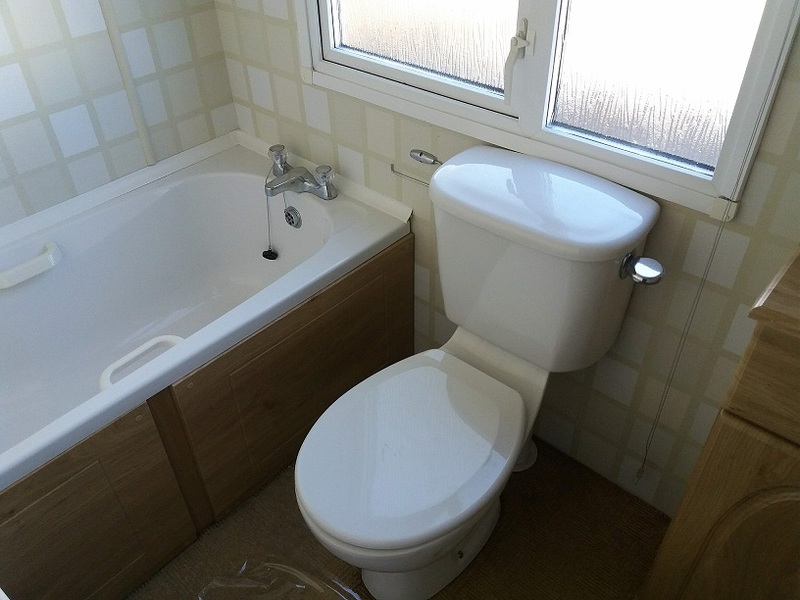 Family bathroom: with bath, WC, wash basin, vanity unit, mirror and shower enclosure. 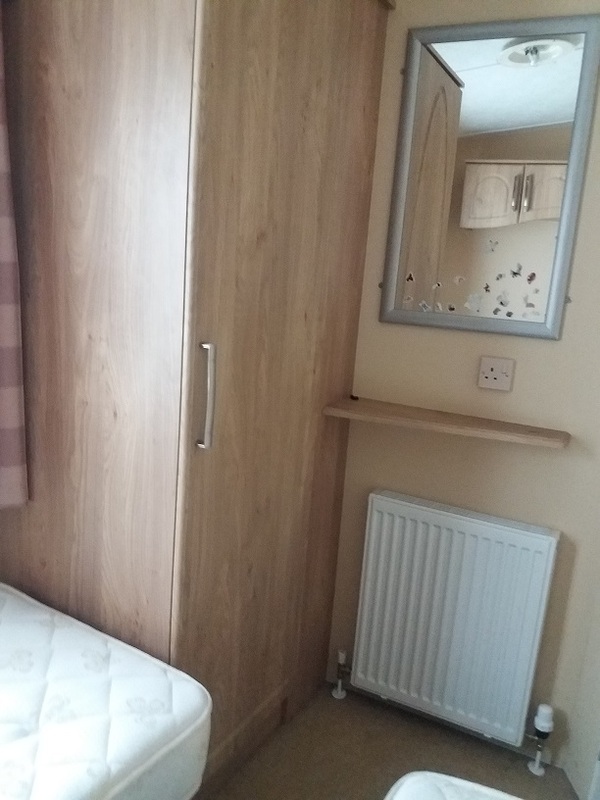 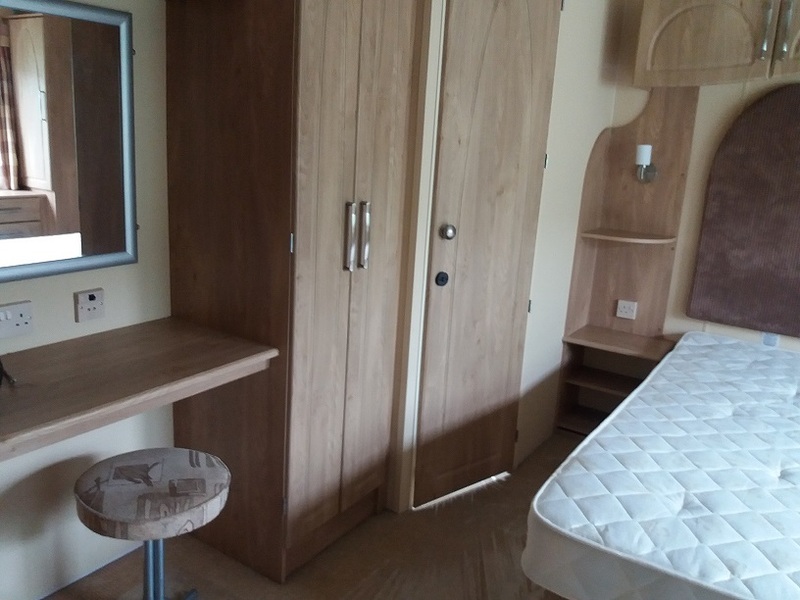 Twin Bedroom: 2 single beds, bedside cabinet, over-bed fitted storage and fitted wardrobe with vanity area. 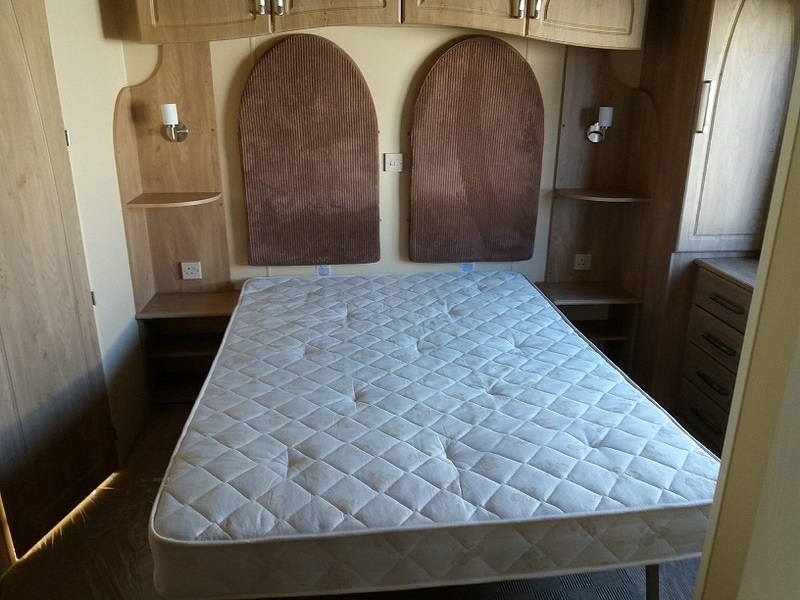 Main Bedroom: Double bed with feature headboard and fitted bedside units. 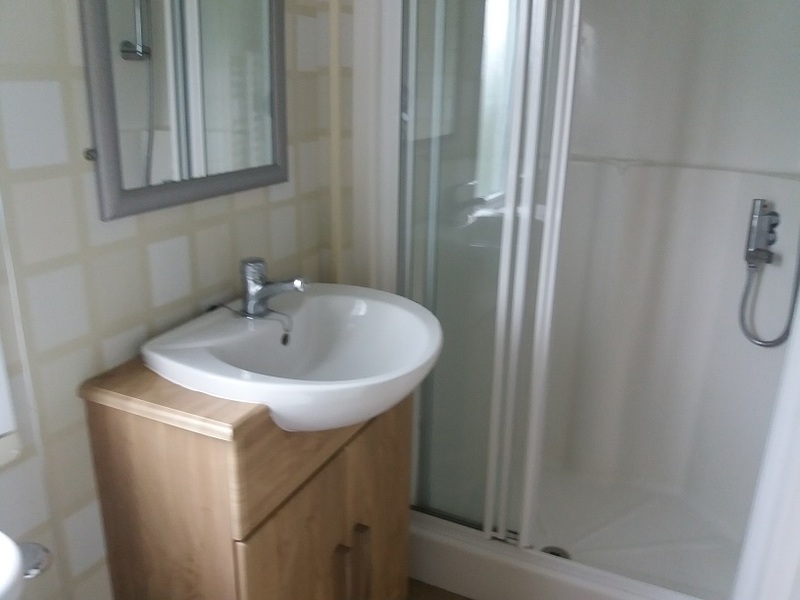 dressing table with mirror, plug point and stool, fitted wardrobes and fitted storage options. 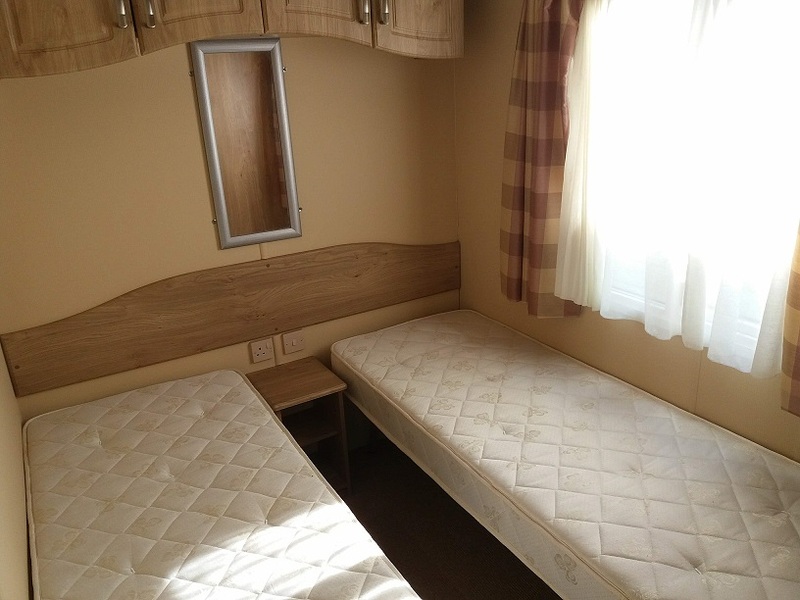 The Cosalt Sandhurst is spacious and homely; ideal for more family holidays. 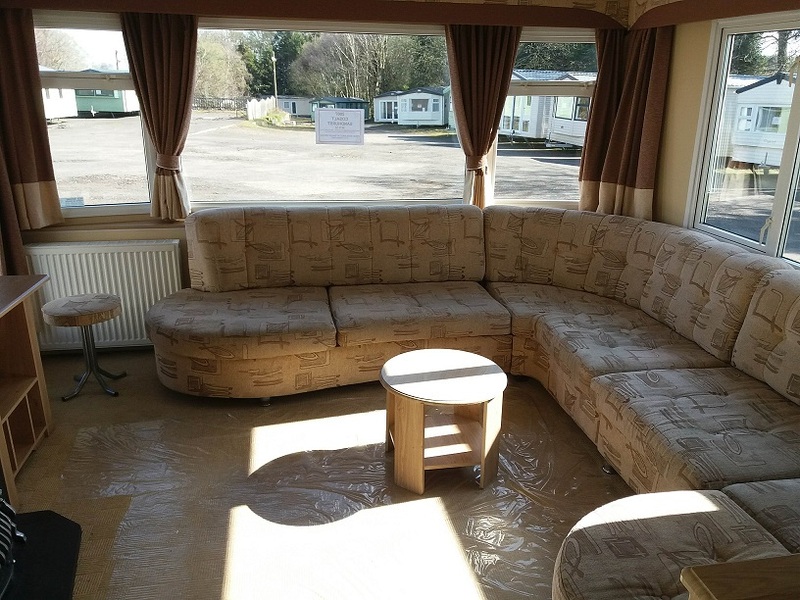 Coast and country holiday parks can be recommended to locate the Cosalt Sandhurst.